It was prophecied that the 7th generation would return. Indeed they are, 200 years later. The Chatham, Ontario paper carried a story covering the return of about 80 Shawnee from Texas to Canada, to visit a monument honoring Chief Tecumseh who died during the War of 1812. The monument is near the battlefield outside Thamesville, Ontario, where Tecumseh died in 1813 fighting with the British, but the location of his burial site has been long contested. You can read about the process of constructing the Tecumseh monument here. 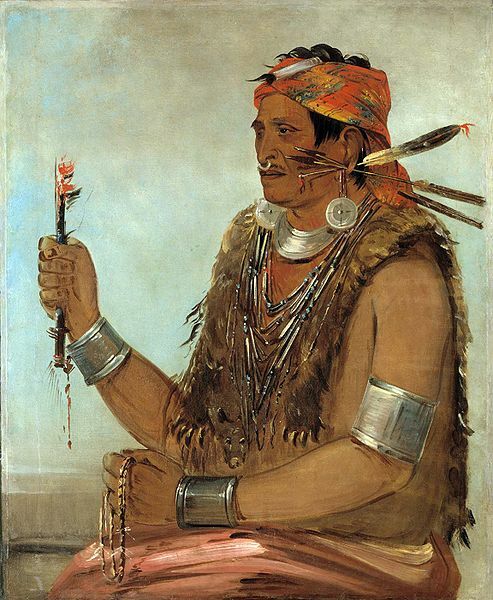 There is no actual portrait of Tecumseh, although George Caitlin did paint Tecumseh’s brother, Tenskwatawa, also known as “The Shawnee Prophet,” shown below. 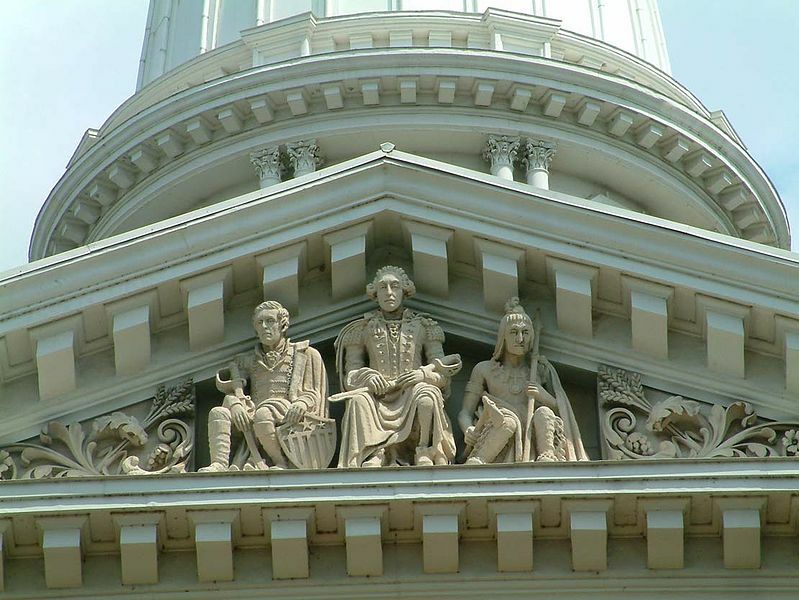 The following frieze on the US Capitol rotunda depicts the death battle and the death of Tecumseh. 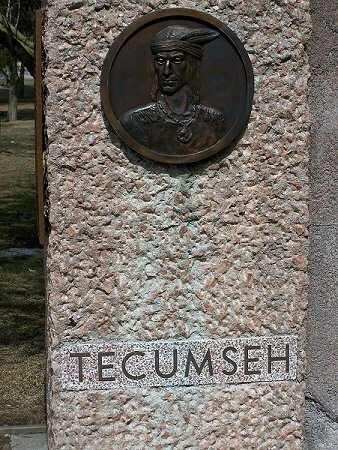 The Tippecanoe County, Indiana courthouse also honors Tecumseh. This entry was posted in Military, Shawnee. Bookmark the permalink.